The World Health Organization Executive Board last week heard about what the lack of access to medicines and other health services has meant in real life. These ranged from the heart-wrenching story of a baby girl needing and getting pain-killing medication to ease her life and passing to bring attention to the need for palliative care, to millions of children not getting the treatment they need to treat tuberculosis or heart diseases. 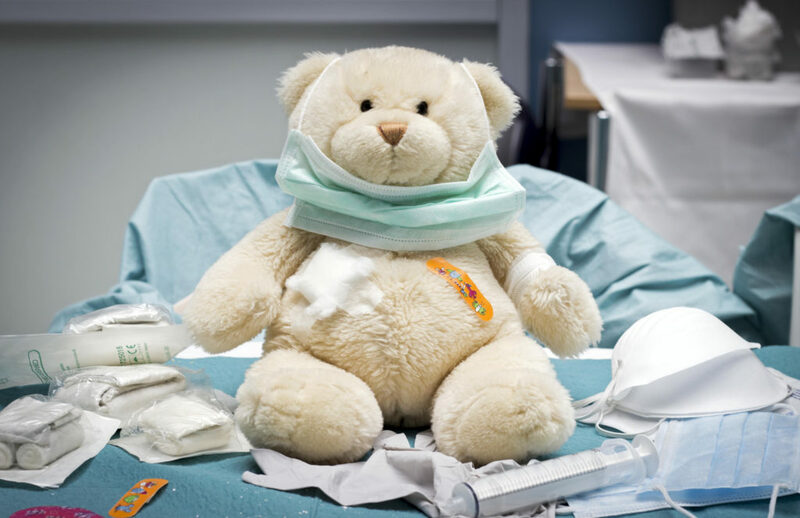 The University Medical Center Groningen (Netherlands) was partly transformed into the Teddy Bear Hospital one day in June 2013, to introduce children playfully to the course of events of a hospital. Most nongovernmental organisations (NGOs) and other nongovernmental actors taking the floor on the issue of the lack of access to medicines at the Board meeting painted a world which delivers too little paediatric formulation of medicines, and where entire populations of patients have to endure severe pain without palliative care. All NGO and other non-state actors’ statements on access to medicines and in particular the WHO draft road map for access to medicines, vaccines and other health products, 2019–2023, are available here. The WHO Executive Board met from 24 January – 1 February. The same concern was voiced by the Global Health Council, which underlined the insufficient efforts to adapt medicines originally developed for adults for use in children. Challenges include the lack of adequate authority to require paediatric studies, methodologic and ethical requirements for paediatric trials, R&D costs, patient recruitment in clinical trials, and failure to require medicine formulations suitable for children (such as liquids, suspensions, sprinkles, and dissolvable or chewable tablets), according to the Global Health Council. An example of this challenge, they said, is the inclusion in 2015 on the WHO Model List of Essential Medicines of five new medicines in the anti-tuberculosis section, with no medicines included on the children’s list, even though TB affects approximately 1 million children annually, 125,000 of whom do not survive. The Thalassaemia International Federation said due to the absence of a prevention plan, some 60,000 babies born each year are affected with thalassaemia and hemoglobinopathies. The federation said the absence of national registries has led to an underestimation of the number of patients, and underlined “the huge unmet need of equal access to medicines and vaccines, for all patients” affected. Thalassaemia can be transformed from a fatal paediatric disease to a chronic condition with life-long regular red-cell transfusions and iron chelation. However, according to the foundation, it is estimated that less than 12 percent of children born with thalassemia worldwide are regularly transfused and only 40 percent of them receive proper iron chelation. According to the World Heart Federation, the majority of people living with cardiovascular diseases in low and middle-income countries are unable to access basic medications to manage their serious diseases. Many parents, they said, are unable to provide lifesaving treatments for their children, in particular for children suffering from rheumatic fever. If those children receive benzathine penicillin G, a “cheap drug to produce” the progression of rheumatic heart disease could be stopped. However, without treatment, the children affected may suffer from destruction of the heart valves, heart failure, and even death. Rheumatic heart disease has been eradicated in rich countries and is still rampant in many low and middle-income countries, they said. The federation called for member states to ensure sustainable supplies of affordable, accessible and quality medication for rheumatic heart disease, as well as of quality diagnostics. They also called for the inclusion of essential cardiovascular medicines on WHO’s Prequalification Programme. Access to pain medication and palliative care was vibrantly illustrated by the sad story of Victoria, a three-month old baby affected by a rare non-communicable condition in which her nerves were not insulated. Her mother, Sharon Thompson, told the heart-breaking story of her daughter on behalf of the Worldwide Hospice Palliative Care Alliance, to advocate in favour of access to palliative care for all. Victoria, in severe pain without medication, was helped by medicines such as morphine. “Without morphine she would have lived and died her short life in extreme agony, and we would have simply had to sit beside her and watch,” Thompson said. Image Credits: Flickr – Christiaan Triebert.